We recorded Gonna Needa Pasteboard, a rockabilly romp through the world of NSPasteboard. Joining me in the studio was John Scalo on guitar—who also played live on the original—and Raleigh Ledet from the AppKit team who sat in on drums. John Scalo rips it up! John has been at Apple for more than 18 years. He got his start in tech support and says the experience gave him a much greater sense of empathy for users and their issues—an experience he recommends for every engineer or designer at some point in their career. Moving to OS X software engineering, his gigs have included parental controls, screen savers, Internet accounts, Stickies, and security. He also plays a mean guitar. When John was about 12 or 13, he heard Jimi Hendrix for the first time and made his dad show him how to play Purple Haze. And then he got into the Texas blues. One summer, night after night, he’d walk a mile from his home to hear the house band play at the legendary Antone’s Blues Club in Austin. While in college at UT Austin he played in jazz, funk, and jam bands, doing weekly gigs on 6th Street and ‘The Square’ in San Marcos. His funk band Zzyzywuzsky played at the SXSW music festival. 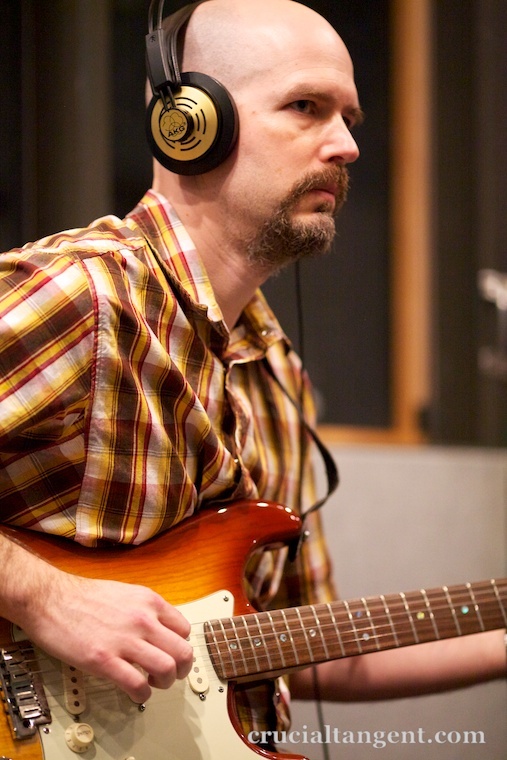 These days John’s tastes are more eclectic ranging from bluegrass to Brazilian, jazz, and some Eastern styles—but he sill loves those Texas blues. 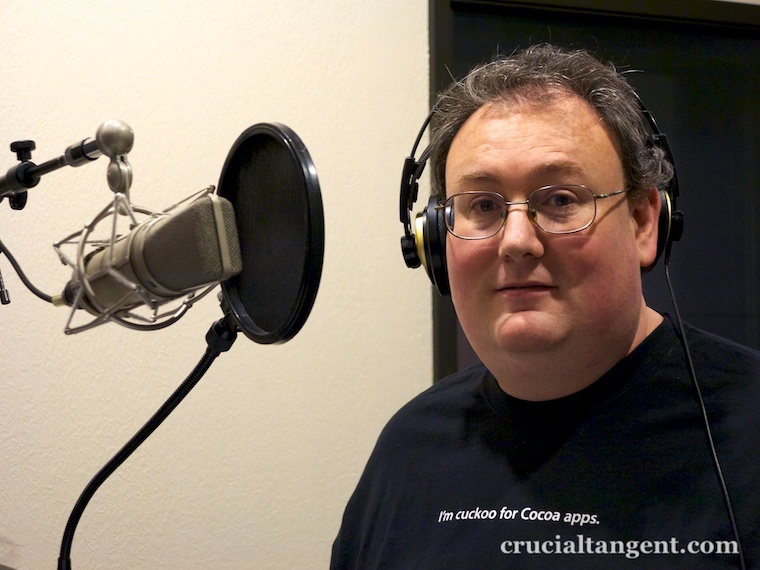 Raleigh has been coding for a long while—he wrote his first commercial software for the Apple ][ in high school. He’s been doing Mac development for 14 years, including eight years at Wacom getting down and dirty with Mac tablet drivers and pref panes. A big fan of pressure-sensitive tablets, Raleigh has also written a number of shareware titles including inkBook, a notebook app with handwriting recognition (using Inkwell, one of the best-kept secrets on the Mac). For the past four years, Raleigh has been a member of the AppKit team, working in a variety of areas such as event handling, scrolling, various controls, and drag and drop. His focus on drag and drop makes him a perfect fit for Gonna Needa Pasteboard, which has an entire verse about it. When Raleigh started drumming in 5th grade, his snare drum and case almost weighed more than he did. Growing up in south Louisiana, he played drums in numerous Mardi Gras parades. 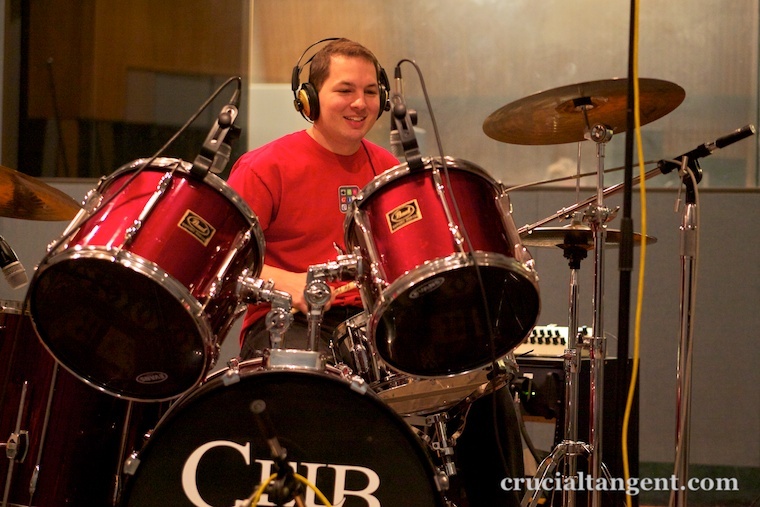 He has also played drums in various contemporary Christian rock groups over the years. As for me, I’m definitely learning a lot in the studio. It’s a very different experience than performing live. And although I’m aiming to keep the recordings true to the spirit of the live originals, it is fun to be able to go a bit further, such as adding drums on this track. I also learned that drum sets don’t just load, unload and transport themselves. Maybe next time we just add some piccolo. During a presidential election year, I tend to watch the news much more often than usual. This doesn’t seem to make me any better informed, the news outlets seldom provide more useful detail than I can glean scanning headlines and blurbs in Google News. I watch as a guilty pleasure. It’s like professional wrestling dressed up in a suit and tie with hyped-up rivalries and dramatic outrage over trivial matters. It is entertaining theater, even if it doesn’t seem to lead to particularly effective government. I bring this up because throughout the primary elections, the commentators have been speaking a great deal about the high unemployment rate, people out of work, and the need for more jobs. And, because during a 24-hour news cycle there only seems to be time to report on a handful of things repeatedly, this point is made again and again. Which brings me to the Cisco ad with the robots. In the same time period, during commercial break after commercial break, Cisco has been running an unintentionally ironic ad. In the ad, a bunch of industrial robots are busy building a car in an otherwise lifeless factory. Suddenly one goes dead and all work comes to a halt. A neighboring robot makes an adjustment on the broken one, the robot is fixed and all go back to work. A voice over proudly proclaims something like, “Assembly lines that fix themselves. Great innovation is possible with Cisco”. This is all brought to a close with a shot of the Cisco logo and the tagline “Built For The Human Network”. Commercial break: Hey everyone! Now Cisco enables firing the people who fix the machines that got everyone else fired! The commercial is well produced, but its placement and tagline are tragic. One possible explanation is that Cisco advertising is handled by an industrial robot. Recording the album is underway. We kicked things off by laying down the bit-flippin’, head-trippin’ tracks for the song Endian Reservations. Here are a few photos from our first session. It’s been great playing these songs with Gordie Freedman again. When I’m recording vocals, I’m put in an isolation booth. Fortunately, I’m not overly prone to loneliness. It’s been great working with Russell Bond. 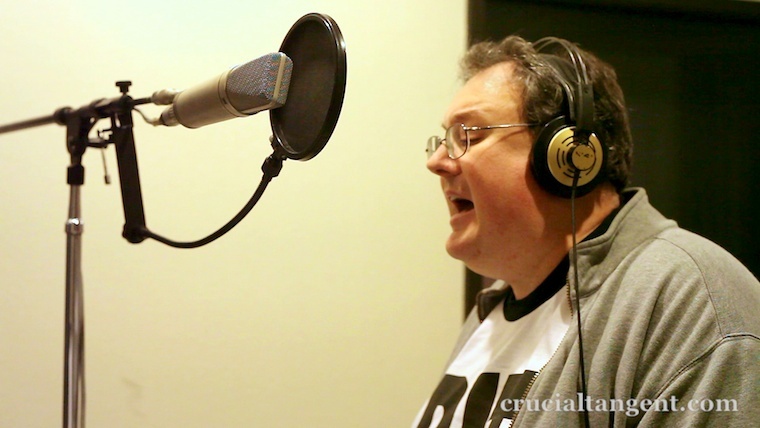 He is a wellspring of recording wisdom, great suggestions, and patience after multiple takes. Is the end near for System Preferences? One of these things seems out of place. Can you spot it? 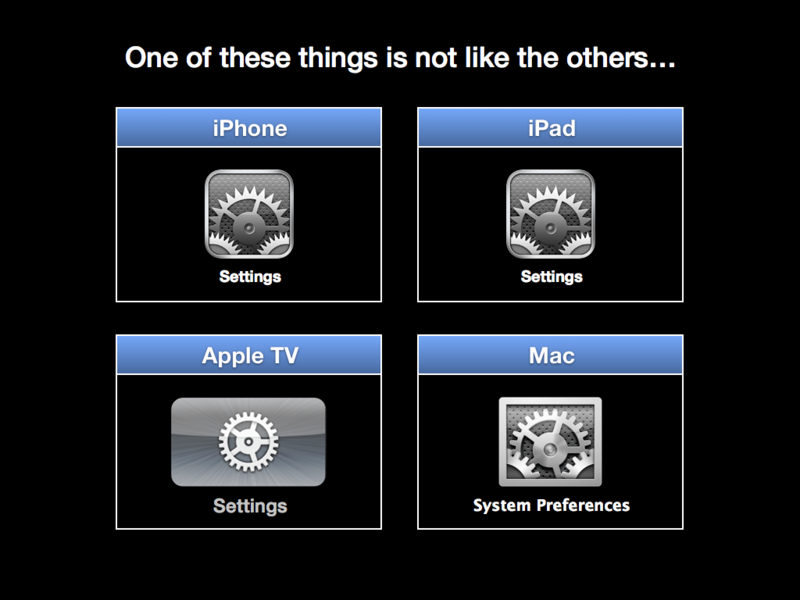 While I don’t believe that the Mac should become an iOS clone, I do think that natural similarities between the platforms should be emphasized. 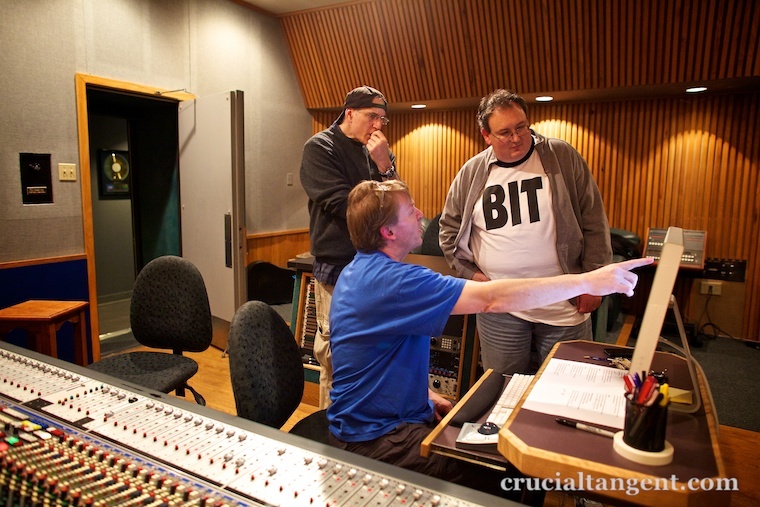 In the coming weeks, James Dempsey and the Breakpoints will be recording our first album at The Annex in Menlo Park, a Silicon Valley studio with a long and storied 35-year history. As we get ready to do so, I wanted to describe the setting and share a little bit about why I find this place particularly special for the project ahead. 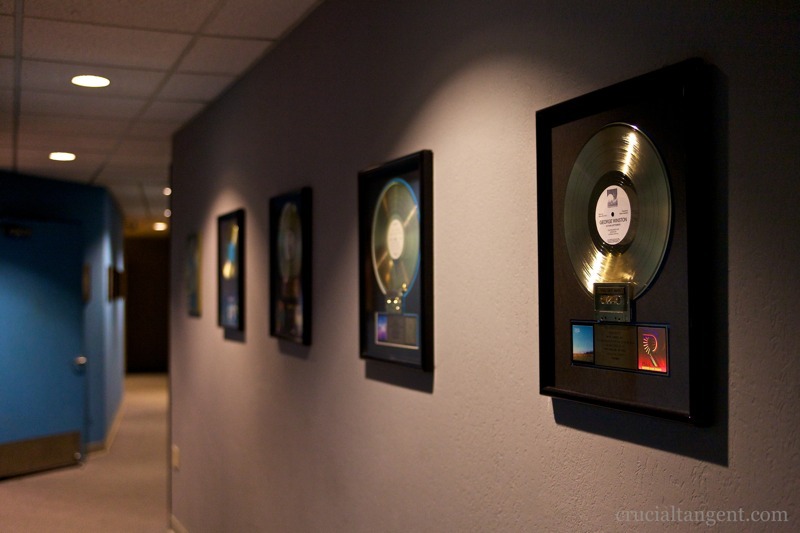 The gold records lining the walls highlight the long list of artists and celebrities The Annex has welcomed a over the years. 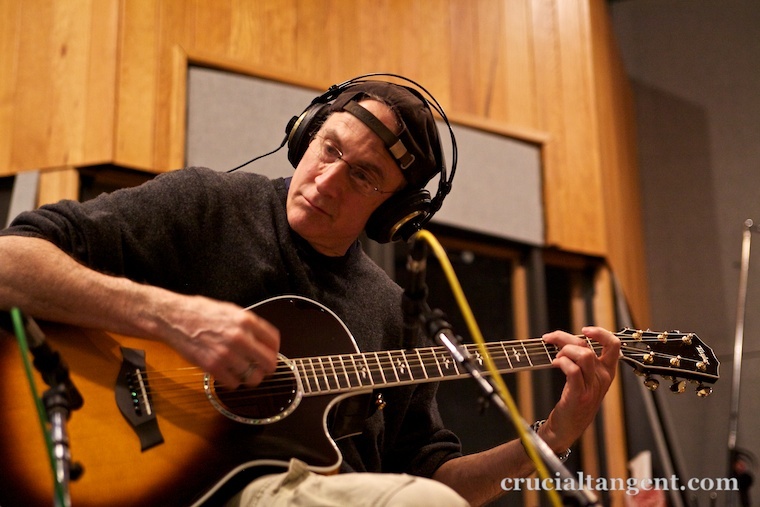 Windham Hill artists such as George Winston, plus many others including Joan Baez, Chris Martin, Alan Parsons, and Michael J. Fox have spent time in the studio, working on everything from recordings and rehearsals to videos and voice overs. Even Steve Jobs came in once to do a quick voice over. There is an awesome vibe just walking into the place.